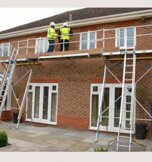 Window Dec was designed specifically to support the installation of windows from the exterior of a building. 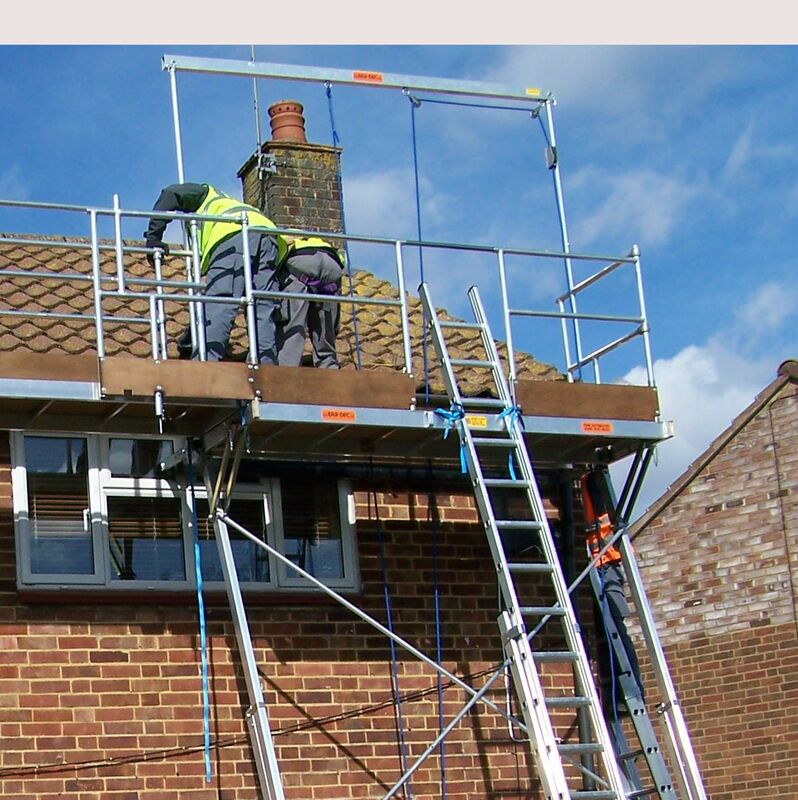 This system boasts an 8 ft platform suitable for 2 installers. 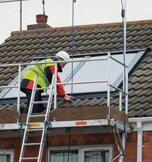 A hoist capable of lifting 165 lb windows from ground level to the platform and a trap door in the platform are key to the functionality of the system. The system can be used without the hoist to serve general needs. 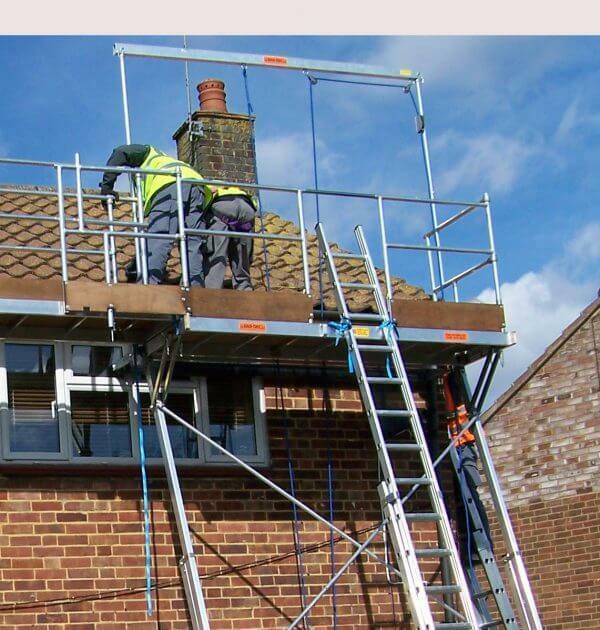 This safe access work platform is an outstanding alternative to traditional scaffolding given its portability, speed of assembly, custom functionality and designed-in safety features. The system comes standard with 16 ft legs that can be adjusted to support a platform height from 9’9″ to 15’7″. Hinged Opening: 8 ft x 8 in.